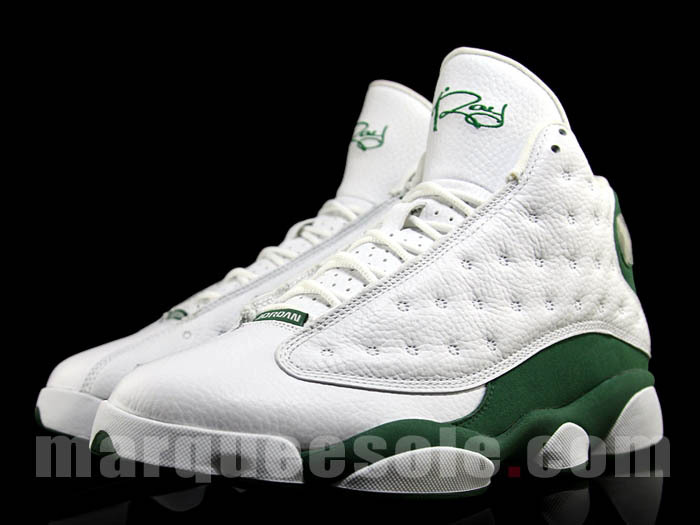 Our first look at the Ray Allen record-breaking player edition Retro 13 that will be dropping in the near future. 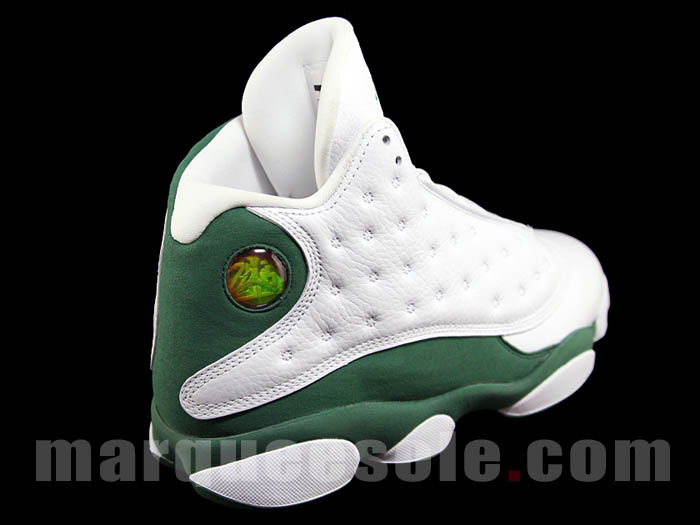 Over the last several days, rumors have spread like wildfires suggesting that the Jordan Brand was prepared for a Quickstrike release of the Player Exclusive Air Jordan Retro 13 colorway that Ray Allen wore when he broke Reggie Miller's all-time three pointers made record on February 10th, 2011. Today, we finally have images of that shoe, which is said to be making its way to House of Hoops locations by the end of the month. 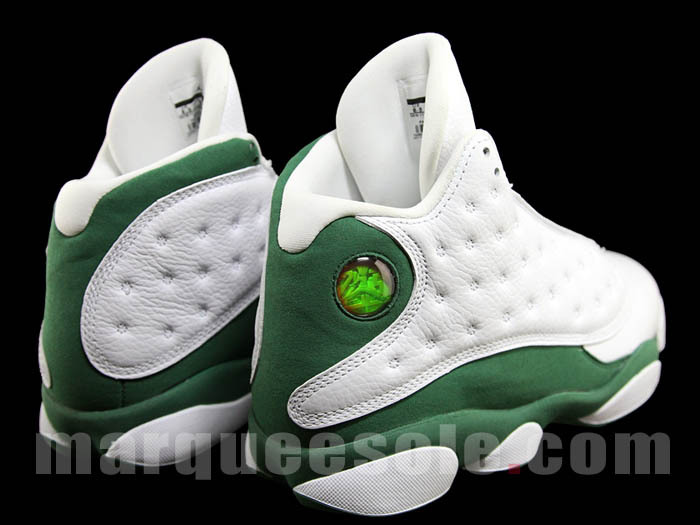 The upper of the shoe is done in clean white tumbled leather, accenting by classic Celtic green on the nubuck mudguard, midsole and outsole. 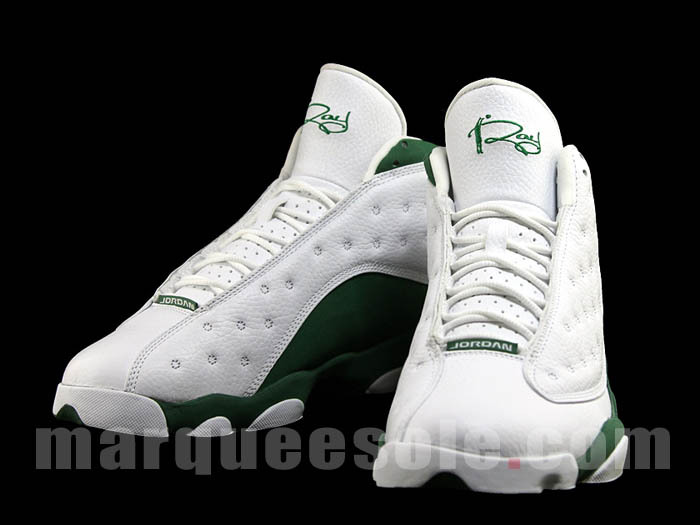 Also done in green is the Jordan tag sewn above the toebox, as well as Ray's custom "Shootman" logo on embroidered on the tongue. As of now, we still don't know an exact release date (later this summer is being speculated), but a few sizes are currently being sold at MarqueeSole. 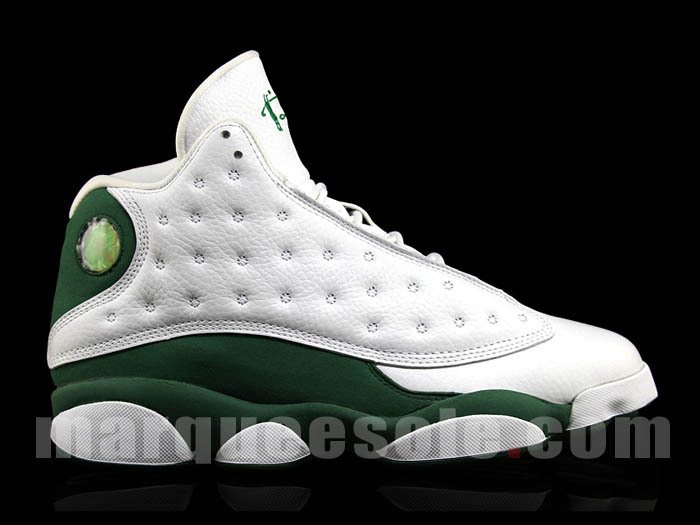 For those who'd like to wait and take a stab at retail, you can just enjoy a closer look at the shoe below. 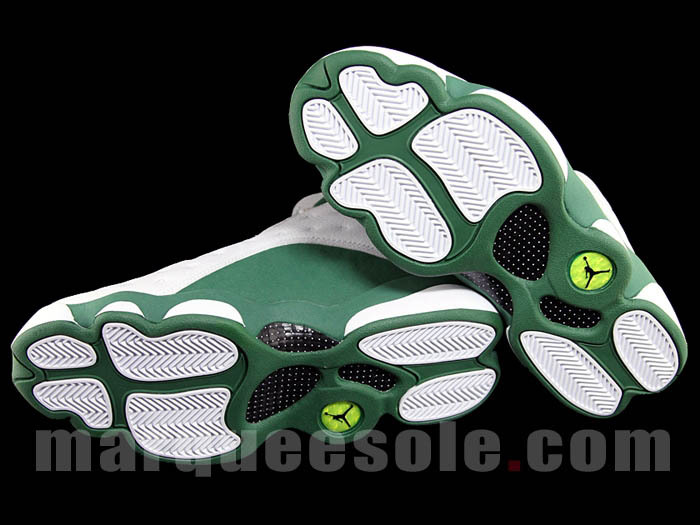 We'll keep you posted with any possible updates here at Sole Collector.